The National Hockey League is often referred to as an American sporting league, but it does have seven franchises located in Canada. For a nation that loves the sport more than life itself, hockey can mean the difference between a normal life and living the good life if you make it to the NHL. 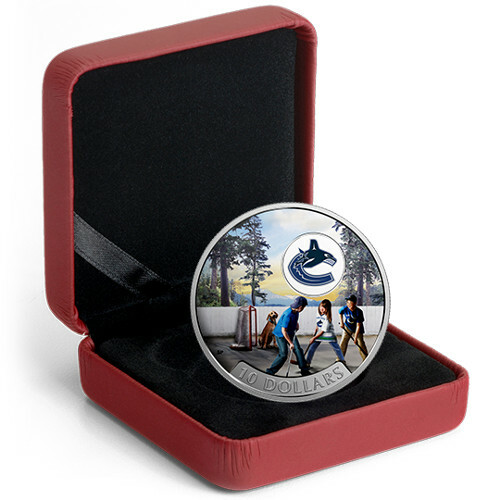 The 2017 ½ oz Proof Silver Canadian Passion to Play Vancouver Canucks Coin is available today from Silver.com. Ships to you in a maroon clamshell and graphic beauty box. Issued a face value of $10 (CAD) by the Canadian government. 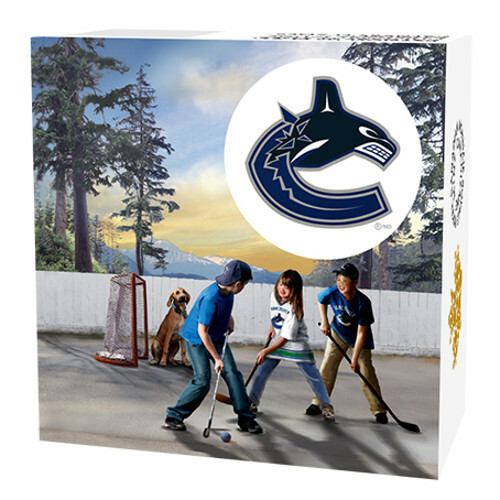 Reverse features Canadian children at play in the summer time with Vancouver’s logo. Each of the 2017 ½ oz Proof Silver Canadian Passion to Play coins from the Royal Canadian Mint ships to you in a maroon clamshell, and a graphic beauty box is included for shipping that features a full-color depiction of the artwork on the reverse of these coins. 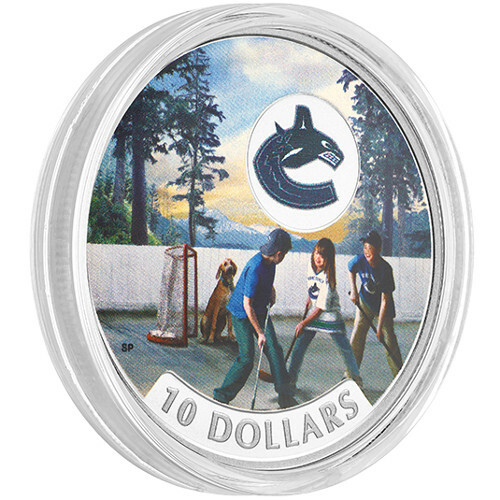 The Vancouver Canucks began play in two different iterations before joining the NHL in 1970. Previous franchises include the Vancouver Canucks who played in the Pacific Coast Hockey League from 1945 to 1952, and the Vancouver Canucks of the World Hockey League from 1952 to 1970. 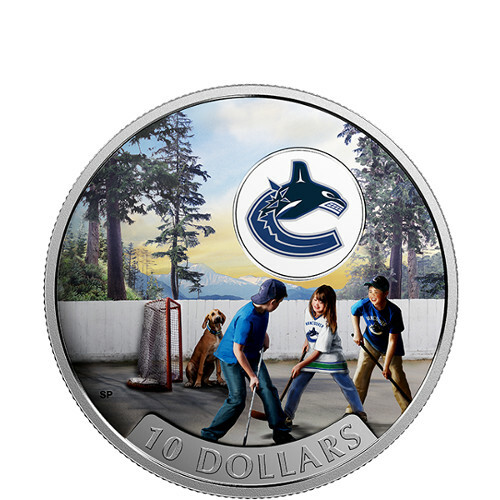 On the reverse of the 2017 ½ oz Proof Silver Canadian Passion to Play Vancouver Canucks is the image of children playing on an outdoor rink in the middle of summer, wearing jeans, shoes, and Vancouver Canucks shirts or jerseys. 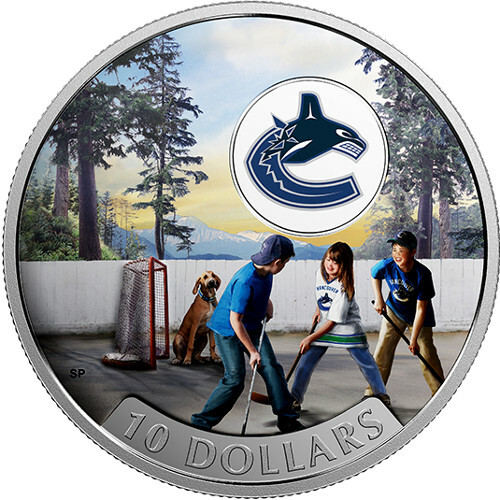 The Canucks logo is featured on this side of the coin in the upper-right field. 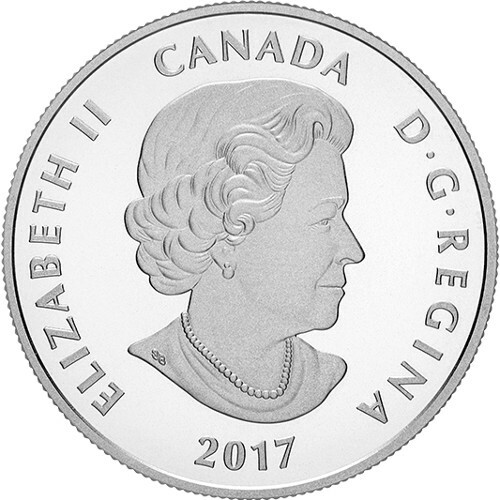 The obverse of the Passion to Play coins feature the right-profile portrait of Queen Elizabeth II. Her Majesty features on the obverse of all Canadian coinage, with this particular design coming from Canadian artist Susanna Blunt in 2003. All uses of NHL and the NHL Shield are trademarked property of the National Hockey League. NHL and NHL team marks are protected property of the league and its member franchises. The Royal Canadian Mint is the official sovereign mint of Canada. Founded in Ottawa in 1908, today it also consists of a secondary facility in Winnipeg that was built in the 1980s to expand coining capacity. We encourage Silver.com shoppers to ask questions when they arise. You can reach our customer service team on the phone at 888-989-7223, chat with us live online, or send us an email with your inquiries.